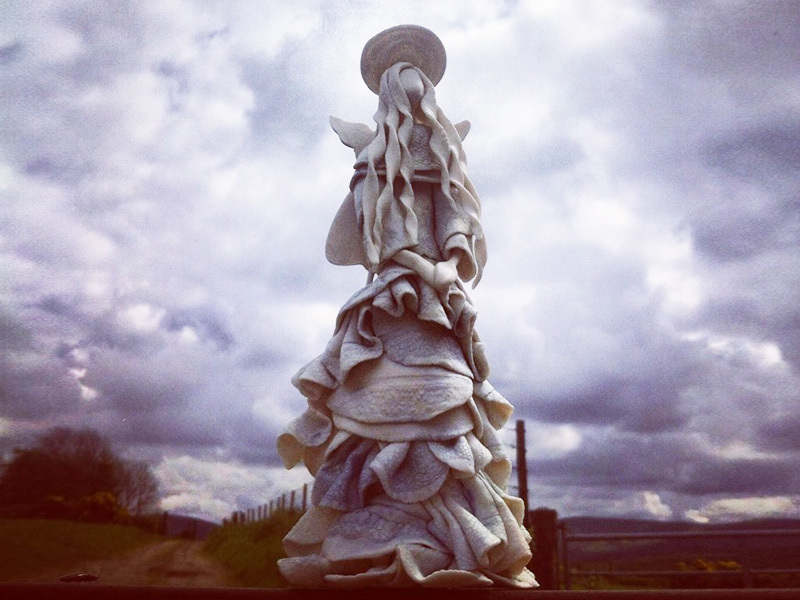 Leona’s studio is based on the family farm, which has been home to generations of the Devine Family. Drawing on this family history, Leona has adopted the craft of her grandmother and the other female relatives, who combined their traditional lifestyles as farmer’s wives and traded as dress makers, a craft which was passed down through each generation. 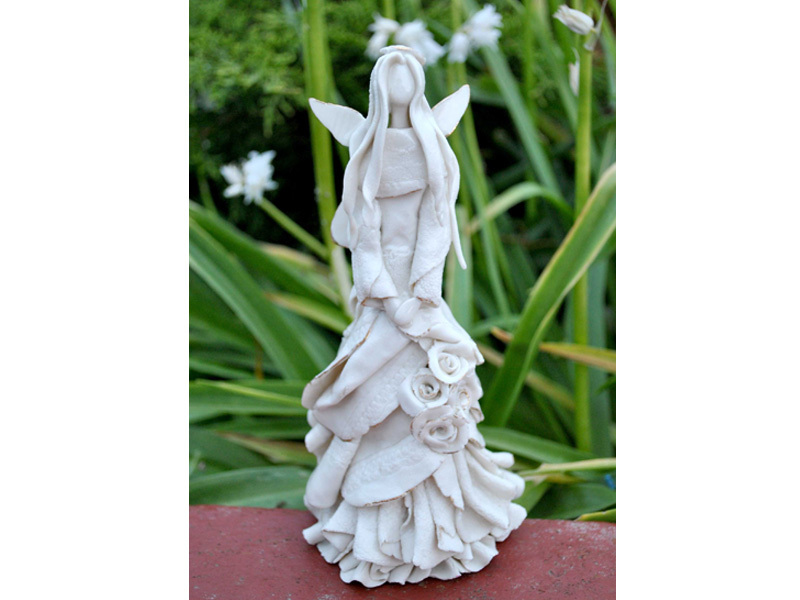 Leona has and incorporated their craft into her own, where she has taken a garment which was made by her grandmother, and uses the material to create impressions in the clay, in particular the stitching to create the dresses on her own range of ceramic Angels.